transactions anywhere, at any time. A robust payment gateway providing state of the industry performance and full featured options. 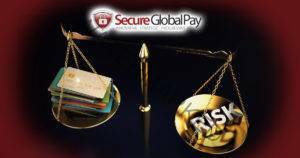 Don't Get Punished for Being "High Risk"
SecureGlobalPay understands that some business types find it difficult to get approved. Let us change that for your business. Our innovative in-store or in-person payment solutions are complete, reliable and designed to secure your success whether your business is a small local retail outlet, a regional franchise organization or a national chain store operation. More and more merchants are discovering the financial benefit of having the capability to accept credit cards through a smartphone, tablet or other mobile device. Our team of professionals each have years of experience in the electronic payments industry and have helped thousands of “hard to approve” merchants get a domestic merchant account. Multi Channel Platform Services, Accept Visa, Mastercard, American Express, Discover Card, Electronic Invoicing, Quickbooks Integration, Recurring Billing and more. Call Us Today at: 1-800-419-1772. Do You Need a High Risk Merchant Account? Check Out the Industries Below to See How We Can Help!